I recently highlighted a novel audio amp that can run off batteries for a long, long time. And I’ve been collecting some other low power stuff that I’ll share here. But what really makes it complete is the concept of Energy Harvesting!We’re all familiar with photovoltaics, that turn light into electricity. There is a company called Nextreme that has started selling heat power harvesting devices. They use a thermal gradient, a difference between hot and cold, to extract power. Not only that, but they have no moving parts and are really, really small. This is the Nextreme “Thermal Electric Generator” model HV14. 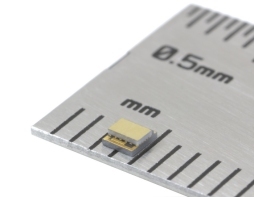 At less than 2mm on a side, it can generate enough power to run an LED or charge a battery! 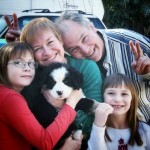 Photo from Nextreme. This is Nextreme’s larger themo-electric generator. I guess “big” is relative! Photo from Nextreme. Now don’t go thinking that these litte sucker only do a small job. With a 100 C gradient to work with, the larger one can harvest about 1/4 watt! Power Generation Curve for the UPF40. Graphic from Nextreme. So, now that one has all this power harvesting capabilities, what can one do with it? Well, one can charge a battery or a capacitor to use the power later. That’s where devices like the Linear Technologies 3108 come in. It’s a DC/DC converter that is very efficient, and can take input voltages as low as 20 mV. 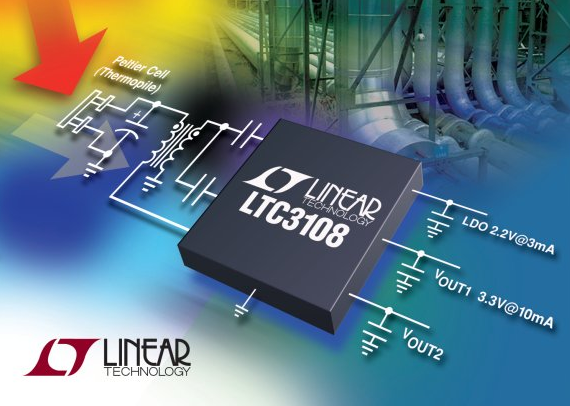 The Linear LTC3108 is a very low input (down to 20 mV) DC/DC converter. 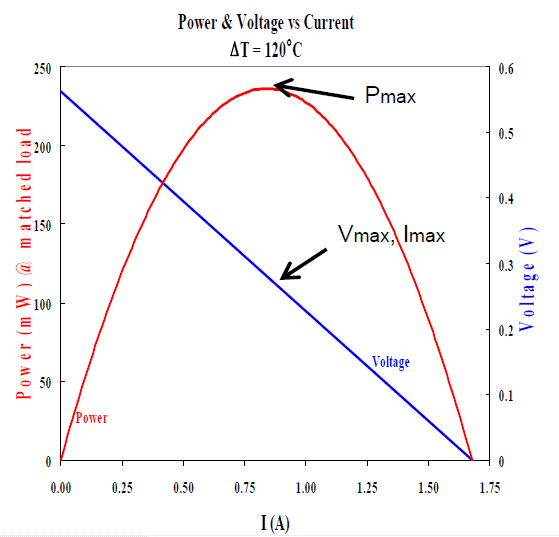 It can be used to charge capacitors or batteries from low power energy harvesting devices. Image from Linear Technologies. So now there are ways to harvest extra heat, convert it to usable voltages and there are also very, very low power microprocessors! 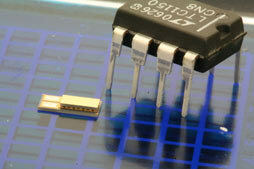 This is the C8051F90x microcontroller. It talkes only 160 uA to run, and when in standby mode, only takes 10 nA! Graphic from Silicon Labs. So, what’s all this stuff good for? It seems that the largest application space is for self-powered wireless sensors. They can harvest all the power needed from the environment. Process the signal as required with surprising processing power while using very little electrical power. Then they fire off a wireless burst of information every now and then to where ever the data is collected for whatever reason. For places with lots of extra heat (like all over factories), monitoring networks can be set up with no required power source or data wiring! Low power applications are coming up all over the place. Devices like these can run on waste energy. And that’s a really good thing. Previous Previous post: Hyper Efficient Audio – 100 W from a single battery! Next Next post: Nitrogen in tires, what’s really driving the trend. Dr Obnxs on WiFi Health and Safety – A Summary of the Mess! Michael Korn on WiFi Health and Safety – A Summary of the Mess!